There's one last piece of housekeeping we must attend to before bidding the 2012 Oscar season a final adieu. For the second year in a row, I hosted an Oscar prediction contest here on the site. And, for the second year in a row, there was an overwhelming response from some very clever Oscar predictors. However, there can only be one victor and, thankfully, we had a surprise victory out of Ms. Meryl Streep to shake things up and separate the pack a bit. Katie Wallace! 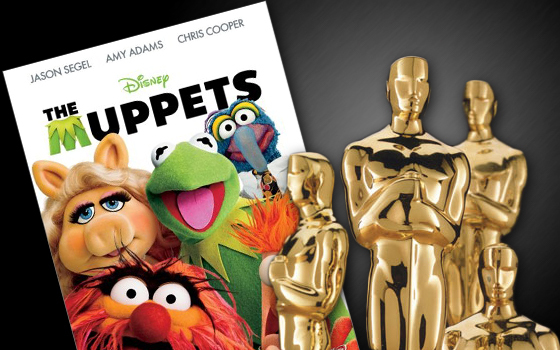 She will receive a copy of The Muppets on DVD in honor of its victory in Best Original Song. A very impressive victory, too, considering I would've lost my own contest had I participated. I promise to never doubt Meryl again! This officially concludes the 2012 Oscar season on Please Welcome Your Judges, but never fear! After all, I'm planning on seeing The Lorax this weekend and it could be the first frontrunner in the Best Animated Feature Film category for 2013!